Hello all and welcome to Neat & Tangled Release Week. 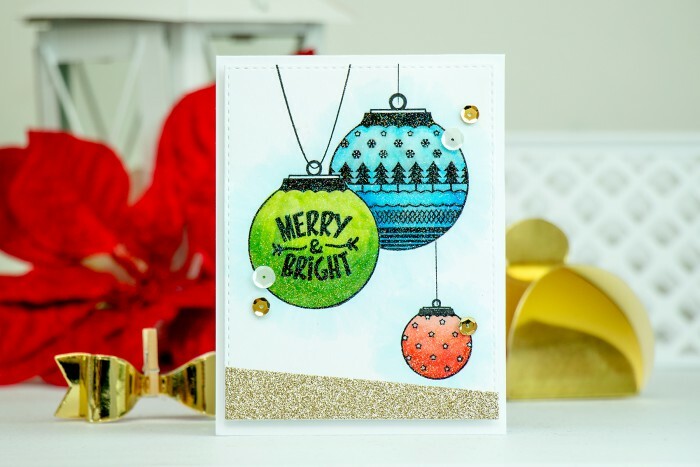 Today is Day 2 and we are introducing two stamp sets, one larger set – Happy Ornaments and a smaller set Little Angel with matching dies. I’m sharing a project using Happy Ornaments set. 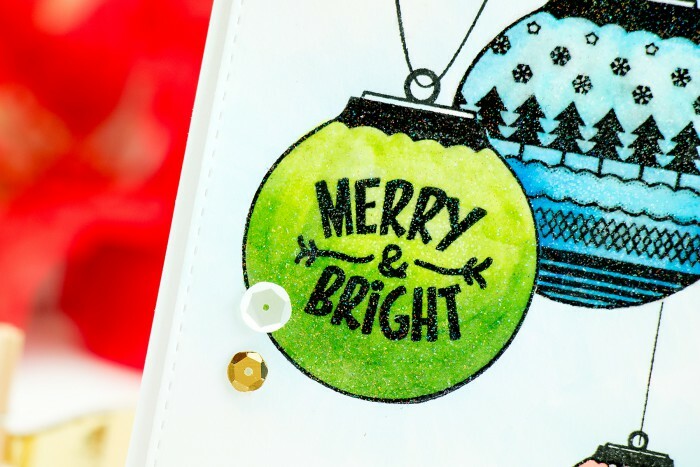 I stamped several ornaments with Tsukineko Versa Fine Onyx Black ink on Neenah Solar White cardstock, heat set it and colored using Copic Markers. I had to mask the green one to be able to stamp the large blue ornament behind it. 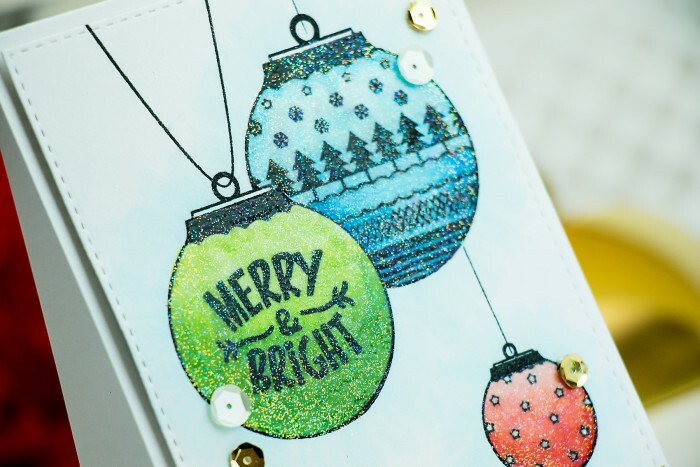 After my coloring was done I applied a thick coat of Sparkle embossing powder from Hero Arts. Its a mix if clear powder + glitter. Creates a beautiful permanent glitter coverage. Next I die cut my panel using Simon’s Stitched Rectangle die, also die cut a diagonal piece of of glitter paper and adhered it to the bottom of my panel. I added several sequins and foam mounted my panel onto an A2 top folding card base. That sparkle embossing powder is gorgeous. I think I might need some of that, the ornaments are just so pretty! Very nice Yana. Thanks. Jody V.
Gorgeous Yana. I love all of the sparkle, makes it really festive. TFS! LOVE your ELEGANT ornaments, colours and sparkle!! !